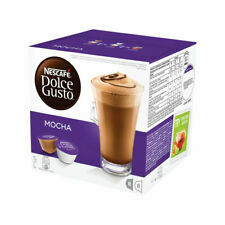 Nescafe Dolce Gusto uses fifteen bar pump pressure to create barista-quality drinks at the touch of a button. A pod system for creating high quality coffees. Choose your favourite coffee at the touch of a button. We Accept Only. Ending Soon. New Arrivals. QUICK LINKS. we do not take any responsibilty after this. Catering Supplies. you can buy in set of 6 max. Why Choose Us! Or, if you're prepared to share, you could always enjoy it with friends! For 24 servings. Hot chocolate and dark roasted coffee do a delicious duet.